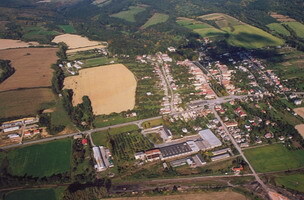 The village of Betliar lies in the south-eastern part of the Slovenské rudohorie Mountains, in the Slaná River valley, a beautiful country of plains, lowlands and highlands. At present, the village has some 1012 residents living in 306 permanently inhabited houses, 92 houses are uninhabited. Betliar flourishes with tourism. Especially the summer months host many tourists, both from Slovakia and abroad, who visit the village and its places of interest. Thus, the village is becoming well-known in all corners of the world. The Krivý potok stream, its hydrological number being 260, flows through the village and meets the Slaná River just at the village´s outskirts. It is administered by the Povodie Hrona river basin administration body in Banská Bystrica, branch Rimavská Sobota. 675 years have passed since the first record on the village turned up. Called Bethler, it was then owned by the ancestors of the Csetneky family. 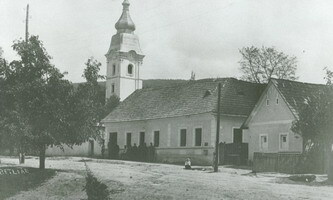 The village and the surrounding lands belonged to the estate of Brzotín. Bálint Ila, a Hungarian historian, maintains that Betliar was established after 1291. We will not find out today how many settlements existed on its present territory before then, what their names were or what happened to them. There are not any reliable documents on how the village or its name came to exist. However, it is for certain, that mineral riches of the Volovské vrchy Mountains and German miners invited to extract the precious ores played an important role in it.